Michael is an associate in the Business Law and Employment Law practice groups. 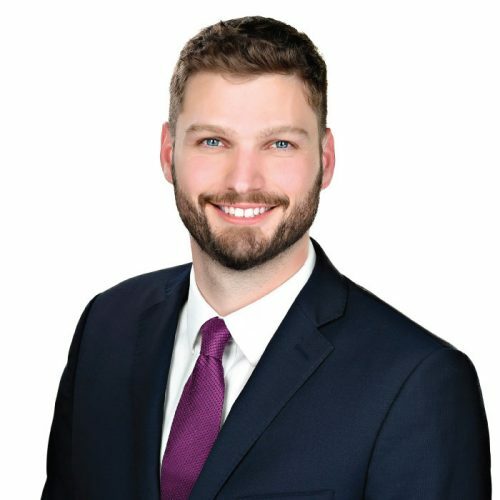 Michael is pleased to offer legal advice and assistance to help corporations and individuals understand their options and achieve their goals. Michael articled with Low Murchison Radnoff LLP and joined the firm as an associate in June, 2018. A 2017 graduate of the University of Western Ontario, Faculty of Law, Michael is the recipient of the Stanley C. Tessis Memorial Award for advocacy, as well as the Brad Hodgson Civil Litigation Award. During law school, Michael worked as team lead of the Wills Project, mentor in the Dispute Resolution Clinic, and Supervisor at Western Law’s Community Legal Services, a legal clinic serving low income individuals with a wide range of legal needs, including small claims matters, landlord and tenant disputes, criminal charges, estate planning, immigration, and family. Michael has appeared before the Small Claims Court, the Landlord and Tenant Board, the Ontario Court of Justice, and the Ontario Superior Court of Justice. Michael is a member of the Law Society of Ontario, the Canadian Bar Association, and the County of Carleton Law Association. Although he appeared in several musicals when he was younger, Michael’s current singing ability has been described by friends and colleagues as “unique” and “different”.